The New York City Fire Department (FDNY) is the largest municipal fire department in the United States. Its origins can be traced back to 1648, before New York became a British settlement - New York was originally a Dutch settlement called New Amsterdam. 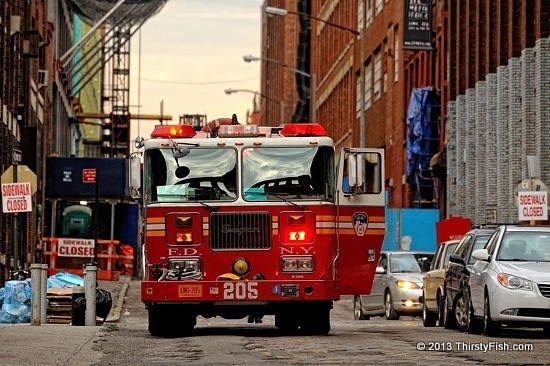 FDNY responds to structural and non-structural fires and medical and non-medical emergencies. In the year 2011 the department responded to nearly half a million incidents, of which 26,432 were structural fires. Most of the departments fire engines are Seagraves, like the Commander II model pictured above.